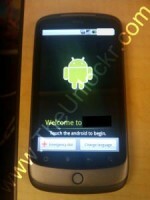 You are here: Home » Blog » News » Technology » Google » Nexus One: The New Google Cell Phone? Low and behold, here comes the Nexus One. Is the Nexus One the next iPhone Killer? Only time will tell, but carriers like Verizon and T-Mobile can’t be feeling all too hot right now after investing so much in promoting their Android based Cell Phones, but at least they have those early buyers such as myself for 2 years. On top of that, there are bound to be some consumers who feel taken by the whole ordeal of Google saying they weren’t going to come out with an exclusive Google Cell Phone. The specs for the Nexus One are as followed.